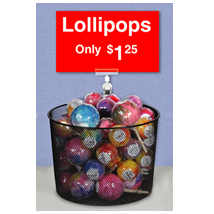 A great addition to your counter, great for impulse buys and small merchandise. These mesh baskets are so versatile they can be used as retail counter displays or on a shelf. Shown with sign holder sold separately. Search clip on sign holders.